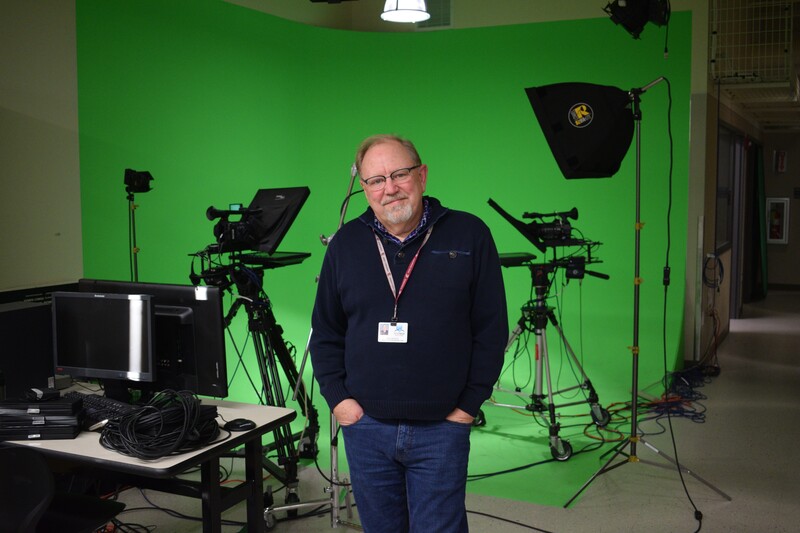 For NEWTECH Skills Center video production teacher Scott Dethlefs, there's no better feeling than seeing former students out in the world with jobs in broadcasting. Especially when they're working for the company where Dethlefs worked for two decades, KXLY. "It's been really exciting for me to see students placed in the field," he says. "I had a student interviewed for a position at KXLY, and the guy he interviewed with was a former student of mine, and he was waiting to hear from his boss, and that was a former student of mine." It fits with the mission at NEWTECH, which partners with local high schools to offer technical and professional training in fields such as nursing, automotive technology, robotics and many others. Dethlefs teaches an animation and special effects course where students learn to produce videos, a skill that can be used in careers such as broadcasting or different kinds of film. Dethlefs says NEWTECH might be "one of the best-kept secrets in town." He's been at NEWTECH for 17 years. After his time at KXLY, he worked for a production company for a year before he was asked to go into sales. Instead, he says, decided to go back to school at Whitworth, where he earned his Master's, and pursue a career in teaching. Then someone asked if he would help revamp the broadcasting program at NEWTECH, and he accepted. The program morphed from broadcasting into all video production, including animation. In the classroom, there are about 30 computers, along with several cameras, audio equipment and a green screen. The goal, Dethlefs says, is to replicate a work environment as best he can. "Our hope is that students are not only going to get the skills that we're trying to teach specific to our programs, but throughout the building, they all have to get employability and career-type skills," he says. The program benefits from the equipment. And with new technology, Dethlefs says he, along with the help of an advisory council, has evolved the class to best meet the student's needs. When he first started teaching, video wasn't as common as it is today. But now, people can shoot video on their phone that rivals what Dethlefs was doing back at KXLY decades ago. Dethlefs, 61, teaches two class per day, and each is a year-long course. Students learn the basics of camera shots, then silent film production before dialogue is introduced to projects. The complexity of the projects grows throughout the year. By the end of the course, they'll be able to do simple animation. The students compete in regional and national competitions. Sometimes, other schools ask students at NEWTECH to help make a video. And for the students who come in with video skills already, Dethlefs makes sure they know the basics but are allowed freedom for more complex projects. "I've got kids in my class right now who come to me with skills," he says. "It's kind of exciting." It's the students who keep him going, he says. It's the times when they're excited about learning that give him joy. "I've obviously had a career for many many years, but I hang out with 16- to 18-year-olds all day," he says. "I still enjoy it quite a bit, and we seem to get along. I don't think I really grew up."